In 2000, Iraq announced it would no longer use U.S. dollars to sell oil on the global market. It adopted the euro, instead, which was no easy decision to make. However, by February 2003, the Guardian reported that Iraq had netted a “handsome profit” after making this policy change. 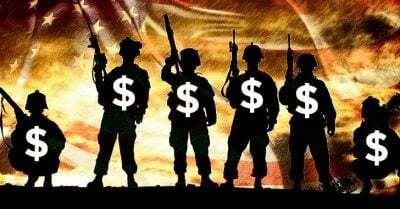 Anyone who rejects this petrodollar theory should be able to answer the following question: if currency is not an important factor in America’s imperialist adventures, why was the U.S. so intent on invading a country (based on cold, hard lies), only to make it a priority to switch the sale of oil back to dollars? If they cared so much about Iraq and its people, as we were supposed to have believed, why not allow Iraq to continue netting a “handsome profit”? that they haven’t held any gold for a very long time.